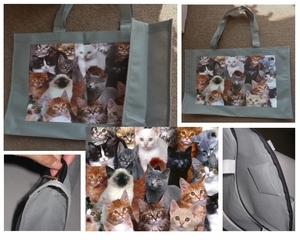 This delightful Cat motif bag is the perfect gift for cat lovers or lovers of small furry animals. This bag comes with a useful zipper to help you keep your stuff securely in the bag. Inner pocket size: 10cm by 10cm.